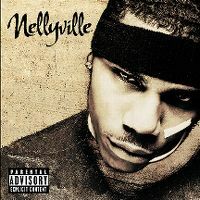 Mit der Musik von Nelly kann ich nicht so viel anfangen, weshalb diese CD auch in meinem Regal verstaubt. I.O. Es reisst mich aber nicht vom Hocker. Pretty average album, nothing overly offensive on here but then nothing really interesting besides Dilemma (and I guess the other singles but to a much lesser extent). Saying that, I don't find Nelly irritating and he has a weird sense of humour that I think is a cool change from the rappers that are just constantly trynna be hard or cool. Still an average album though (which means it's good for a rap album since rap albums certainly are not my thing as I have found out recently).